Matthew Bergheiser is president of University City District (UCD), a nonprofit neighborhood improvement organization with a $10 million annual budget and 85 professional and public maintenance employees. UCD assists the continuing economic and real estate development renaissance of West Philadelphia from 29th Street to 50th Street. Previously, he was regional director of the John S. and James L. Knight Foundation, where he oversaw a grantmaking budget of more than $6 million that funded transformational projects that helped communities reach their highest potential. To help create employment opportunities for Philadelphians, Mr. Bergheiser co-founded the Job Opportunity Investment Network in 2008, a regional effort to advance low-skilled workers into career ladder jobs through partnerships with employers. He was recognized as one of the "40 under 40" business leaders by the Philadelphia Business Journal and as an Emerging Connector by Leadership Philadelphia. Mr. Bergheiser earned a B.A. from Princeton University and an M.B.A. from the Wharton School of Business at the University of Pennsylvania. Suzanne Biemiller is the principal of Highland Strategies, a consulting firm focused on assisting nonprofit organizations, foundations and government agencies with their strategic planning and program design needs. Prior to starting Highland Strategies, Biemiller served as Director of Policy and Planning and First Deputy Chief of Staff to Philadelphia’s Mayor Michael Nutter. She has also worked as Chief of Staff at the American Board of Internal Medicine (ABIM) and as a Senior Program Officer at The Pew Charitable Trusts. Biemiller’s work focuses primarily on urban policy issues. She developed and wrote Greenworks Philadelphia, the city’s first-ever sustainability strategy, which won a Siemens Sustainability Award and led the team managing the proposed sale of the Philadelphia Gas Works. She also developed PhillyCounts, which engaged Philadelphia residents in the 2010 census, and created Pew’s Philadelphia Research Initiative. At ABIM, she helped plan and lead a shift in strategic direction and managed the attendant financial and internal culture changes. In 2015, Pennsylvania Governor Tom Wolf appointed Biemiller to the Pennsylvania Intergovernmental Cooperation Board, a fiscal oversight board, which she chaired. In addition, in 2017, Biemiller was named a Senior Advisor at Econsult Solutions, an economic consulting firm. 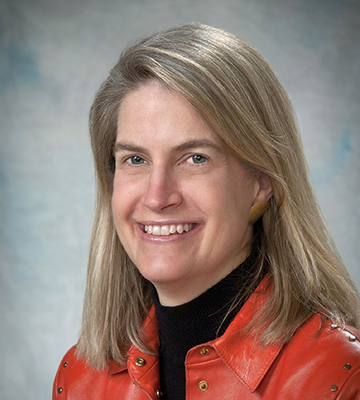 Biemiller received a master’s degree in Public Policy from Harvard University’s Kennedy School of Government and a bachelor’s degree from Williams College. She lives in Philadelphia with her husband and two teenage daughters. H. Patrick Clancy possesses more than 20 years of senior level experience developing and managing career and workforce development programs. 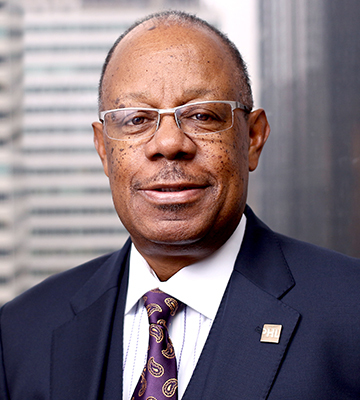 As president and CEO of Philadelphia Works, the city’s Workforce Development board, he directs all aspects of the organization, providing strategic guidance for investments in solutions and services to grow Philadelphia’s economy. Previously, Clancy served as special advisor on Employment and Training programs for the Pennsylvania Department of Human Services, where he oversaw the implementation of an $80 million Welfare to Work program across the Commonwealth and helped to draft the Workforce Innovation and Opportunity Act (WIOA) state plan for the U.S. Department of Labor. He also advised the Pennsylvania Secretary of Human Services on all employment and training issues regarding Temporary Assistance for Needy Families (TANF) recipients. Clancy’s experience is rooted at Philadelphia Works, having spent nearly 15 years in various roles, including seven years as vice president of Training Programs with the former Philadelphia Workforce Development Corporation (PWDC). After PWDC, Clancy led the strategic planning and development of 16 industry-sector partnerships across Southeastern Pennsylvania, connecting employers, unions and community colleges in order to create cost-effective training programs. Active in the community, he serves as a board member of the Wanamaker Institute of Industries, and is a member of the Pennsylvania Workforce Development Organization, National Association of Workforce Development Professionals, the Society for Human Resource Management, and the Workforce Development Council of the U.S. Conference of Mayors. Clancy received his Bachelor of Science in Human Resources and Management from La Salle University. He also received a certificate in Project Management from Pennsylvania State University. 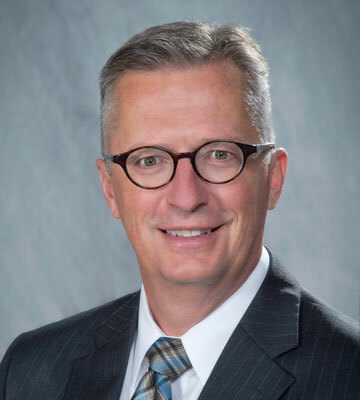 A business leader with more than 30 years of corporate experience, Mr. Epps oversees and implements policies to help small businesses and large corporations thrive. Under his leadership, the Commerce Department coordinates activities along commercial corridors with small businesses and entrepreneurs, major real estate development projects, and large-scale business attraction and retention efforts, as well as efforts to increase minority-owned business contracting opportunities. His commitment to workforce development and business opportunity diversity and inclusion efforts, both professionally and personally, has shaped his civic and board activities. 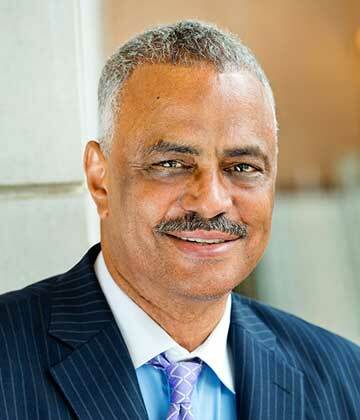 He is co-chairman of the Comcast National African-American Advisory Council and a board member of the Philadelphia International Airport Advisory Board, Philadelphia Industrial Development Corporation (PIDC), Select Greater Philadelphia, Global Philadelphia Association and the Philadelphia Convention & Visitors Bureau (PHLCVB). Mr. Epps holds a bachelor’s degree in Business/Commerce from North Carolina Central University and an MBA from Western New England University. Ms. Fulmore-Townsend is an energetic thought leader focused on driving transformation in poverty and inequity for youth and young adults. She is the president and CEO of Philadelphia Youth Network (PYN), an organization that works to prepare young people for academic achievement, economic opportunity and personal success. As a leader, Ms. Fulmore-Townsend seeks to inspire passion, commitment and collaboration. Her previous experience includes different positions at PYN, most recently as vice president of Program Services, where she led a team accountable for program design, implementation, evaluation, compliance and continuous improvement. 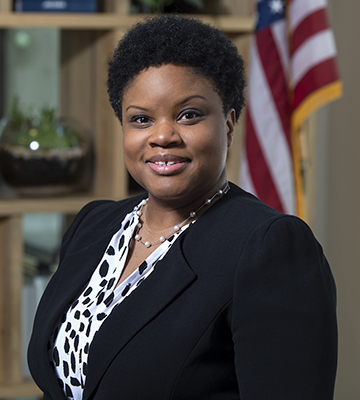 Prior to her work at PYN, Ms. Fulmore-Townsend served at the Philadelphia Workforce Development Corporation as the senior director of the Emerging Workforce, fusing data-driven decision making with solid project management to implement and improve adult and youth workforce programs. An in-demand speaker in the Philadelphia region and throughout the country, Ms. Fulmore-Townsend’s awards include being named a White House Champion of Change in 2016 and recognized in the Philadelphia Business Journal as part of Philadelphia’s Got Talent: 40 Under 40. Ms. Fulmore-Townsend holds a B.A. in Psychology and a Master of Social Work from the University of Pennsylvania. As deputy managing director for Aging, Ms. Hernández Vélez is responsible for policy and programs to address the changing needs of seniors and creating ways to simplify how seniors can access services. Most recently, she served as head of the regional chapter of the Leukemia and Lymphoma Society, which is dedicated to blood cancer research, education and patient services. Previously, she was senior vice president of Community Relations, Atlantic Region, for Wachovia Bank. Involved with youth education and leadership for the Latino community, Ms. Hernández Vélez served as a member of Aspira, Inc. of Pennsylvania for nearly 30 years. She continues to support Latino-focused organizations as the community grows in number and diversity. Mr. Herzog has been the senior vice president of Strategic Planning at Philadelphia Energy Solutions since October 2012. 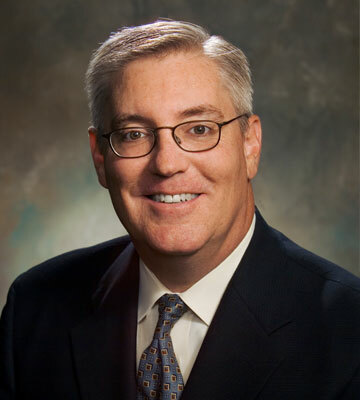 He previously served as director of Strategic Planning and Execution and as refinery general manager at Sunoco. Throughout his career, he has held operations, maintenance and technical positions at refineries, and has assisted with the sale of refineries in different locations around the country. Committed to assisting students in meeting their educational goals, Mr. Herzog served on the Board of Governors of Philadelphia Academies, a nonprofit organization that helps prepare Philadelphia public school students for careers and postsecondary education, for twelve years. Mr. Herzog also created a training program with high school students, where they learned how to become operators in the process industry. Mr. Herzog earned a Bachelor of Science in Chemical Engineering from the University of Washington and an M.B.A. from Villanova University. Sheila Ireland is charged with implementing Philadelphia’s first citywide workforce development strategy, “Fueling Philadelphia’s Talent Engine.” This comprehensive plan leverages the collaborative efforts of the city’s business, labor, education and major nonprofits to create a career pathways system that fills the human capital needs of employers and creates job opportunities for Philadelphia’s most vulnerable populations. With more than 25 years of management experience, she has been responsible for the successful leadership of the human resources, training, organizational and workforce development functions in the nonprofit, health care, consulting, government and manufacturing fields. This includes her time as the deputy director of Workforce Development and Inclusion for Rebuild, the city of Philadelphia’s $500M investment in infrastructure improvements to Philadelphia’s park, libraries and recreation centers. 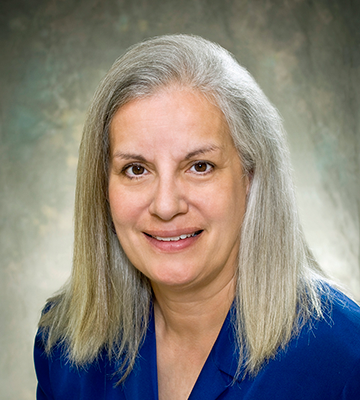 Previously, Ms. Ireland served as the vice president of Workforce Solutions at University City District (UCD). She was the founding director of West Philadelphia Skills Initiative (WPSI) and lead its growth to prominence as a national model for innovation and effectiveness in workforce development programming. She also launched UCD’s first social venture, Green City Works, which defined the good jobs theory within the landscaping industry in Philadelphia. Ms. Ireland earned an A.A. S. degree with Honors in Finance from Community College of Philadelphia, a B.B.A. in Human Resources from Temple University and a M.S. in Human Capital Development from La Salle University. She also holds a SPHR certification from the Society for Human Resource Management. 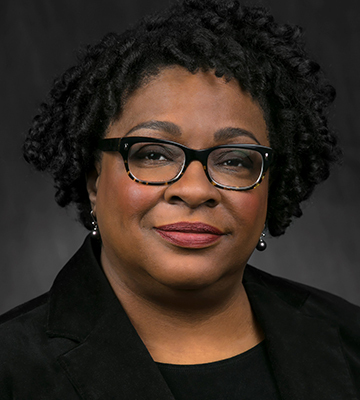 In her position at Jacobs, Sharon A. Jean-Baptiste is responsible for driving market growth in the northern United States through innovation, delivery excellence and talented employees. She joined Jacobs, a global provider of technical, professional and scientific services, including engineering, architecture, construction, operations and maintenance, through the CH2M acquisition in 2017. Ms. Jean-Baptiste previously served in a number of regional and global leadership roles with CH2M in the areas of project delivery, technology and client relationship management, including the role of chief of staff to the chairman and CEO. Ms. Jean-Baptiste is an infrastructure program manager and senior consultant with 19 years of experience working with municipal and federal clients in the water and transportation sectors on their most complex environmental, organizational and community challenges. A technical leader and client advocate, she assists organizations with infrastructure planning, delivery and operations services; and partners on key enabling initiatives such as stakeholder engagement, business diversity and inclusion, advocacy and community outreach. She was named as one of Kansas City’s “Rising Stars” by Ingram’s Magazine and received special recognition from the Black Engineer of the Year STEM Awards hosted by Career Communications Group. She previously served on the board of directors for the National Society of Black Engineers, and she currently serves on the board of directors for the Urban Affairs Coalition. Ms. Jean-Baptiste holds an undergraduate degree in Civil Engineering from McGill University, and graduate degrees in Water Resources Engineering and Business Administration from Tufts University and University of Kansas respectively. She is a registered Professional Engineer and is actively involved in several technical organizations, such as the American Water Works Association (AWWA), Water Environment Federation (WEF), Conference Of Minority Transportation Officials (COMTO), Women’s Transportation Seminar (WTS) and the National Society of Black Engineers (NSBE). Chairman and CEO, NHS Human Services, Inc.
Joseph S. Martz is the chairman of the board of directors and chief executive officer of NHS Human Services, Inc., a $500 million nonprofit organization that provides a full range of services to individuals in the areas of behavioral health, education and autism, and intellectual and developmental disabilities. Previously, Mr. Martz was the executive director and board secretary of the board of directors of City Trusts, where he managed a $650 million investment portfolio that benefitted 118 testamentary trusts bequeathed to the city of Philadelphia. Mr. Martz was Secretary of Administration in the cabinet of Governor Edward G. Rendell, and he served the city of Philadelphia for eight years during the Rendell Administration in various positions, including deputy commissioner of Public Property, first deputy managing director and chief operating officer. 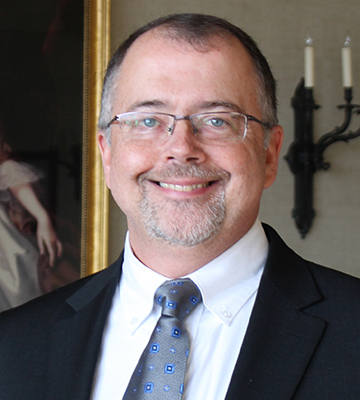 A lifelong resident of Philadelphia, Mr. Martz serves on the boards of the Delaware River Port Authority (DRPA), the Mother of Mercy House, Rehabilitation and Community Providers Association, and NHS Human Services. He is the recipient of numerous awards, including the Pennsylvania Meritorious Service Medal from the Pennsylvania National Guard—the highest commendation the Guard can bestow upon a civilian. Mr. Martz is a graduate of The Pennsylvania State University and received an M.B.A. from Saint Joseph’s University. Rosalyn McPherson is President and Founder of The ROZ Group, Inc. Highly regarded as a natural cross-pollinator, builder of strategic relationships, and cross-cultural content enthusiast, she leads her company in providing project management, market research, strategic marketing and communications, custom publishing, and product development to corporations, governmental agencies, and nonprofit institutions. Cultural arts, education, health care disparities, science and history are among her key areas. Roz has had a long-term career as a senior level executive in the corporate and nonprofit sectors that includes educational publishing, museum administration and marketing. Many of her major projects have revolved around the development of legacy experiences that celebrate the accomplishments of the world’s diverse people. 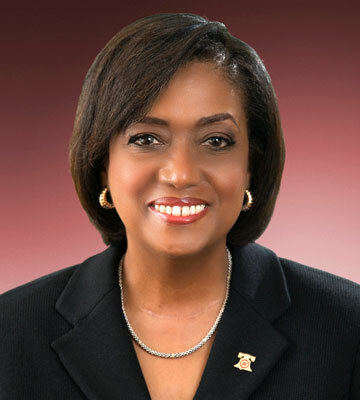 She recently served as President & CEO for the Urban League of Philadelphia. She also served as Senior Vice President for the Science Center at The Franklin Institute. Time Warner, McGraw Hill and Scholastic are among the companies where she served as a publisher and marketer. In 2016, The ROZ Group celebrated its 10th year as a certified minority business in the State of Pennsylvania and the City of Philadelphia. Among the boards that Roz sits on are: National Philanthropic Trust; Community College of Philadelphia; Mental Health Association of Southeastern PA; and First Person Arts. Mindy Posoff is a senior financial services professional with expertise in strategic development, operational due diligence, and institutional sales and marketing. She has more than 20 years of experience with top-tier global financial services organizations. Ms. Posoff is currently a managing director and member of Golden Seeds, an investment group whose network is dedicated to investing in early stage companies with diverse management teams. She is also the founder of Traversent Capital Partners, LLC, a consulting firm focusing on strategic solutions for investment firms. 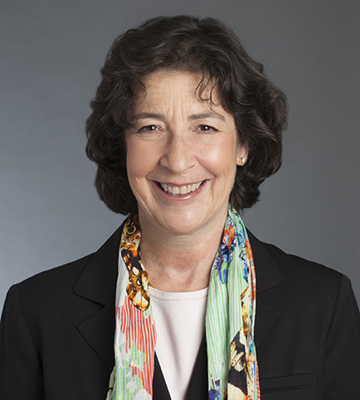 Ms. Posoff also serves as an independent trustee of the Harris Associates Investment Trust for the Oakmark Family of Funds, a value driven complex of mutual funds. Prior to Golden Seeds and Traversent, Ms. Posoff was one of the three co-founders of NewMarket Capital Partners, LLC, an investment management company focusing on absolute return strategies for the institutional investor. She was the firm's chief operating and compliance officer, as well as co-head of Sales and Marketing. Previously, Ms. Posoff was a vice president at E*Trade, and a director and institutional sales manager of the structured product sales group at Credit Suisse First Boston. Ms. Posoff is a member of the Board of Managers of The Philadelphia Foundation; a member of the Board of Ben Franklin Technology Partners SEP; a trustee of Salus University; a founding member of the board of directors of 100 Women in Finance, the largest global association for finance and alternative professionals; and a member of Springboard Enterprises’ Council of National Advisors. Ms. Posoff has an MBA from the Wharton School of the University of Pennsylvania and a B.A. from Beloit College. Rep. Roebuck has served in the state House of Representatives since 1985. He has been a board member since 1993 and served as vice chairman from 2003 to 2006. 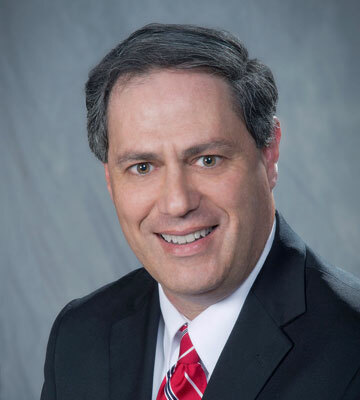 His legislative committee service and appointments include first vice chairman of the Democratic Ward Executive Committee, a member of the board of directors of the Pennsylvania Higher Education Assistance Agency and member of the Legislative Office for Research Liaison. He is also the Democratic chair of the state Education Committee. For 14 years, he taught in the History/Politics department at Drexel University. Active in the community, Rep. Roebuck is on the board of managers for the Alumni Association of Central High School, a member of the board of overseers for University of Pennsylvania's Annenberg Center for the Performing Arts, a member of the board of trustees of the Garden Court Community Organization and member of the board of directors for the Philadelphia chapter of the NAACP. His honors and awards include a citation from the National Association for Equal Opportunity in Higher Education and the Dr. William Ross Jr. Scholarship Fund Service award. Rep. Roebuck earned a B.A. from Virginia Union University, and an M.A. and Ph.D. from the University of Virginia. He also completed the University of Virginia—Darden School State Legislative Leaders Foundation's Advanced Management program and the John F. Kennedy School of Government Program for Senior Executives in State and Local Government at Harvard University. Soileau brings more than 20 years of cable and telecommunications experience to his position as Vice President of Planning and Strategy for communications, data and WiFi products at Comcast. In this role, he is responsible for the planning and design of initiatives for deploying Comcast technology to deliver innovative solutions in Comcast markets. He is also responsible for understanding the company’s competitive market pressures and developing strategic plans to navigate this landscape. Michael manages industry research, developments and needs from new and emerging providers and for future products that are yet to be publicly available. 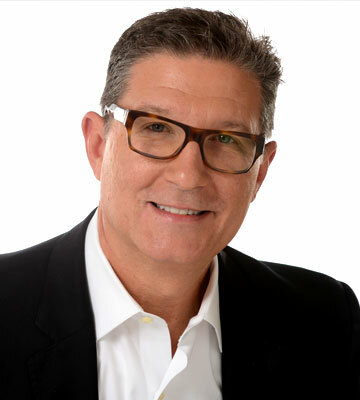 Previously, Michael served as the Senior Vice President of Sales, Marketing and Customer Experience at Innovative Communications, a multiservice provider (MSP) of phone, data, video and wireless for the United States Virgin Islands, British Virgin Islands and St. Maarten. Prior to his assignment in the Virgin Islands, Michael spent 10 years with Comcast, serving in various leadership roles throughout the company’s footprint. Additionally, Michael held several leadership positions at OpTel, a MSP in the multihousing segment. Michael holds a bachelor’s degree in International Business from the University of Texas at Austin. This is his eighth year sitting on the board of the National Adoption Center and he is also on the Steering and Advisory Committee for Philadelphia Fight. He is on the board of the International Festival of Arts and Ideas, and is a member of Lambda Legal’s National Leadership Council. Michael resides in Philadelphia, Pennsylvania. As chief executive officer of White and Associates, Jeremiah White, Jr. leads the development of consulting strategies, such as business development and fundraising, designed to help midsized business and nonprofit organizations overcome market challenges and pursue growth. Most recently, he was president and CEO of Osiris Group, Inc., a marketing and business strategy firm. 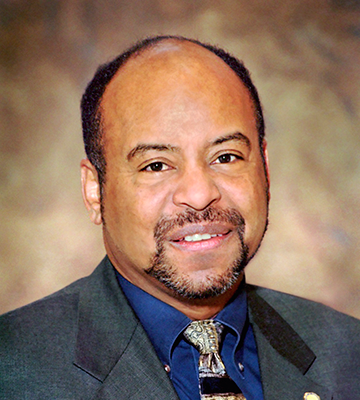 Mr. White is co-founder and past president of Intercultural Family Services, Inc., a nonprofit health and service organization for Philadelphia's in-need and ethnically diverse citizens. Currently, Mr. White is the board vice president of the Glaucoma Service Foundation at Wills Eye Institute and Thomas Jefferson University Hospitals, board member of bioscience companies Transdermal Specialties, Inc. and FlowMetric, Inc., and member of the Wistar Institute Leadership Council. Mr. White earned a B.A. in Education and an M.A. in Planning and Administration in Health Services from Antioch College.